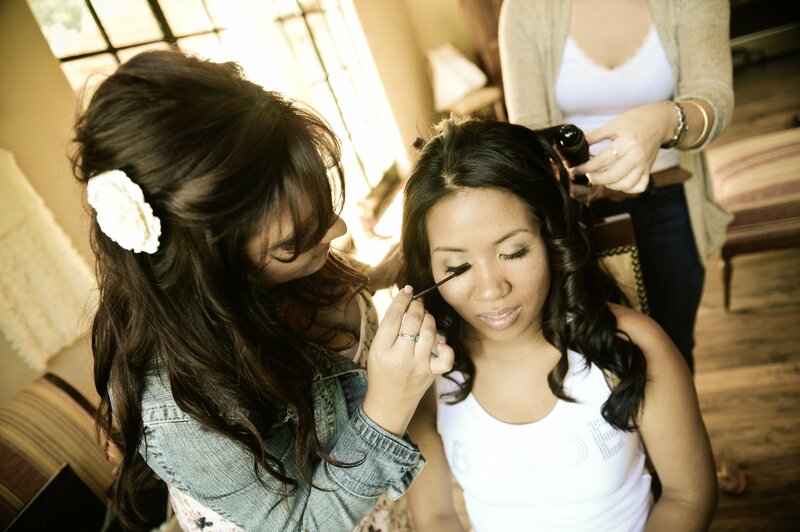 Jocelyn Gomez is Napa Valley’s Makeup Artist and Hair Stylist who specializes in Wedding Hair Design and Traditional Classic Bridal Makeup. She is a licensed Cosmetologist who’s attended and been certified by JS Makeup Artistry, Keratin Complex Smoothing Treatment, Balmain Hair Extensions, Airbrush by Stream Cosmetics and MAC pro Master Classes in LA. Jocelyn started her career in San Jose where her family is but her passion for weddings brought her to Napa Valley. Now she works out of Bella Capelli SalonSpa off Browns Valley Road in Napa, Ca. She has been making women beautiful for years now and her talent as an artist is timeless.